The National Truck Equipment Association (NTEA) hosted its annual Work Truck Show last week, March 5-8, at the Indiana Convention Center in Indianapolis. Electricity and Green Trucks – Several manufacturers displayed new electric models at the show, while the NTEA hosted a green truck panel focused on the long-term goal of zero emission work vehicles. Freightliner brought its eM2 Class 7, a medium duty electric truck, a vehicle set for production in 2021. Fuso also brought the latest version of its eCanter truck, an electric vehicle designed for short term hauling in urban environments, while Spartan Motors introduced two electric vehicles of their own. While many believe we ar a long way from fully electrified fleets, it’s clear that heavy duty vehicle manufacturers have taken interest in the technology. Diesel Still Rules – Electric trucks may be the future, but its clear diesel trucks aren’t going away any time soon. A majority of the trucks at this year’s show were diesel powered, including Navistar’s new International CV Class 4 and Class 5. Fuso, Isuzu, Ford, Nissan and several other manufacturers presented one or several new diesel vehicles. Ford Fills Out its Lineup – Ford introduced a new F-600, a smaller, scaled down version of its F-650 chassis. The American automaker is the only company that produces a full line of trucks, from its F-150 all the way up through its F-750. Other American automakers also announced changes to their lineups, as Chrysler debuted commercial versions of its heavy-duty Ram pickup trucks and chassis cabs. Inside the Cabin – Many of the automakers that presented showed off improved interior trims, onboard computers and other safety tech. The aforementioned Ram Heavy Duty trucks will include new and improved informational displays at all trim levels. Preco Electronics also announced updates to it’s blind spot platform Side Defender, adding new audio and visual alerts and improving its lane change assist feature. This entry was posted in News and tagged Automotive, Commercial, off highway, on-highway on March 14, 2019 by Joe Shust. 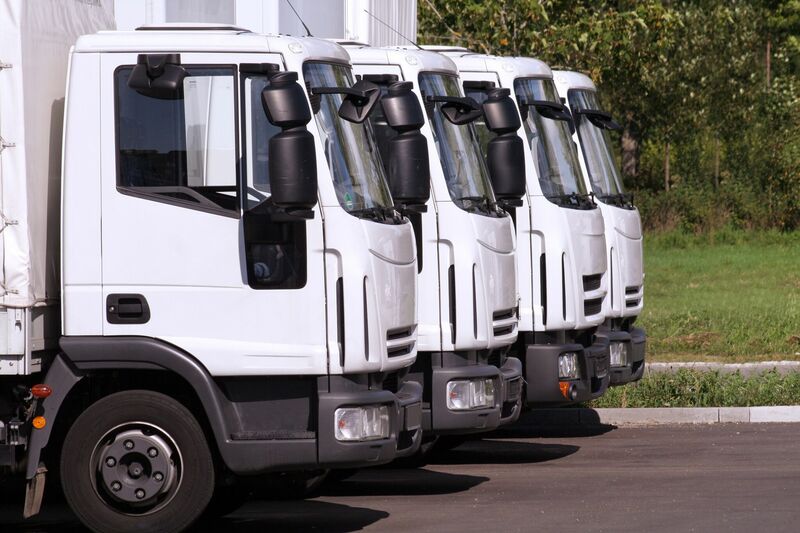 From repairs to logistics and everything in between, maintaining a commercial fleet presents a huge range of challenges that can trip up even the most experienced professionals. 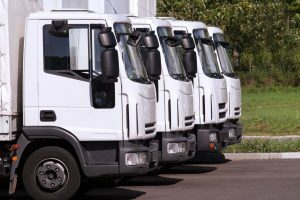 Fleets have many moving parts to maintain and new technology has made maintenance even more difficult. According to Greg Wyatt, Commercial Fleet Manager for PetroChoice, the most important aspect of fleet managing is keeping down time to a minimum. Having a vehicle out of service can lead to losses in production and extended down time can be a major drag on efficiency, customer satisfaction and profitability. Wyatt said having a thorough inspection protocol during the maintenance process is important, and it’s something that too few fleet managers focus on. He also called out record keeping, scheduling and not utilizing oil analysis as weak spots for many in the industry. “In most cases, fleet directors have not been shown the many potential benefits of testing and do not realize that this analysis can prevent costly system failures,” he said. As truck engines evolve with technological advances, fleet managers need to keep re-evaluating the lubricants they are using in their vehicles. Wyatt said he sees the industry continue to rely on conventional 15W-40 motor oils while most OEMs have moved on to other products. Newer technology can help streamline the maintenance process and provide valuable insight on all aspects of a vehicle. Still, all that technology will do little to help if fleet managers aren’t using the correct lubricants. Wyatt advises that the best lubricants will meet OEM specifications, but also provide the right protection each unique fleet needs. Between heavy loads or light loads, local deliveries or cross-country hauling, heavy vocation or high idle, different fleets have vastly different requirements. Some would be well served using long draining lubricants, while others need to explore different options. Wyatt said balance is key to choosing the right product. This entry was posted in Industry News, News and tagged Commercial, Fleets on June 21, 2018 by Joe Shust. The Commercial Vehicle Safety Alliance (CVSA) has announced its annual Operation Safe Driver Week will take place July 15-21. The group partners with local law enforcement throughout North America to crack down on seat belt enforcement, traffic violations, roadside inspections and regulatory compliance. They will also focus on distracted driving, texting and compliance with local traffic laws. During last year’s Operation Safe Driver Week, the CVSA reported almost 39,000 citations and warnings were issued to commercial vehicle drivers. An overwhelming majority of those, 84 percent, were for state and local moving violations. Speeding (7.4 percent), failure to use a seat belt (2.6 percent), failure to obey a traffic control device (2.5 percent) and using a cell phone (0.8 percent) round out the top five. This entry was posted in News and tagged Commercial, Safety on May 17, 2018 by Joe Shust.